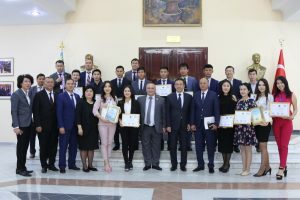 Today, in the Cultural Center of the Yassawi University held the ceremony of awarding certificates for graduates of the school of public servants. 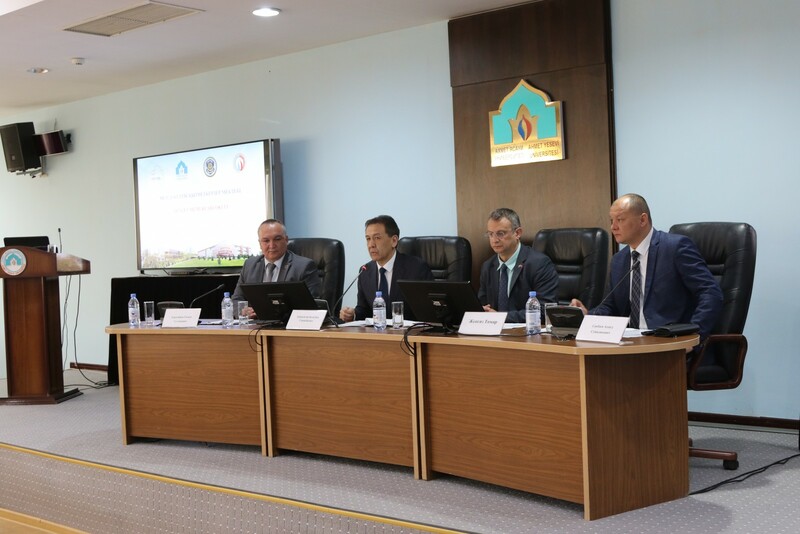 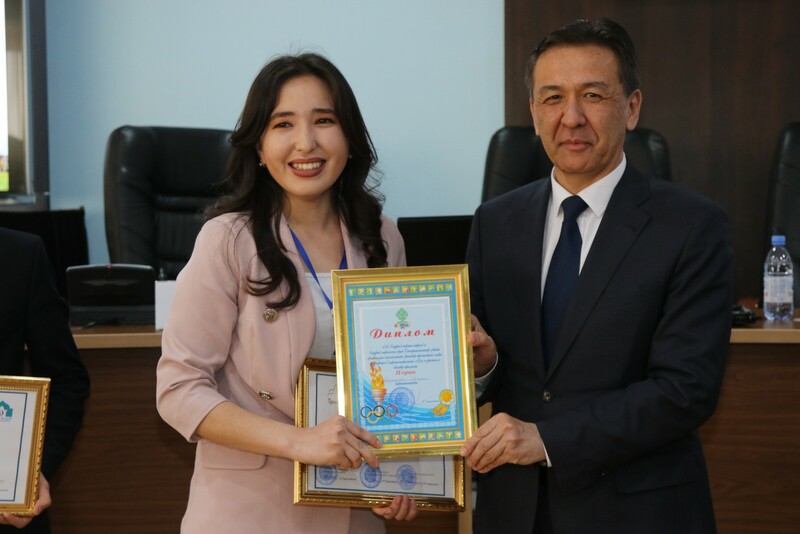 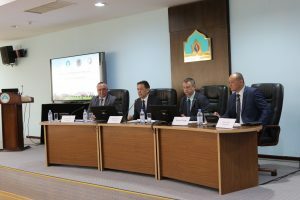 University President Bolatbek Abdrasilov and First Vice-President Zhengiz Tomar were the initiators of the opening of the School of Civil Servants. 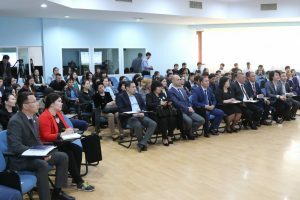 They thanked a number of specialists who contributed to the development of the school. 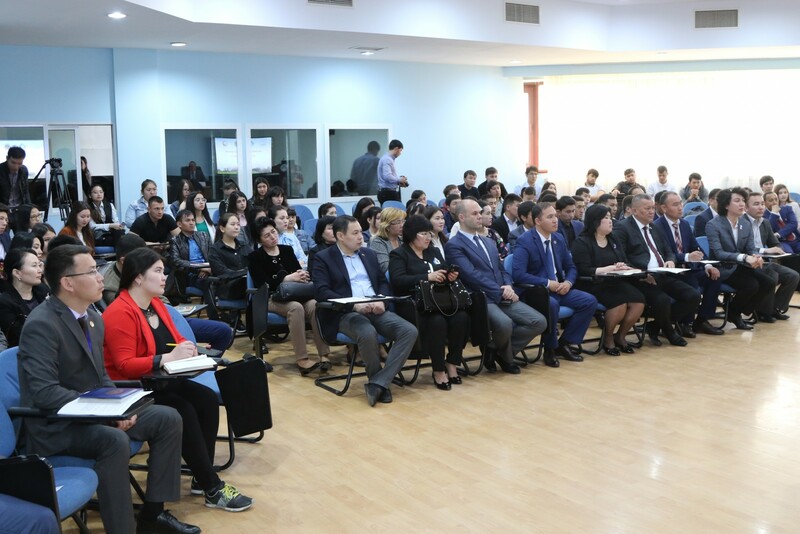 Further, the management expressed the hope that in the future students of the school will be sent to Turkey to exchange experiences. 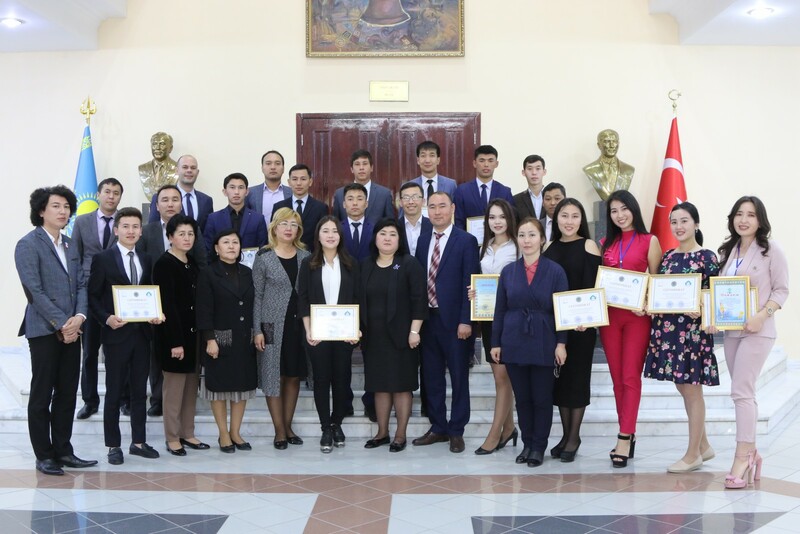 The School of Civil Servants, created with the support of university management, was selected from the top 20 undergraduate students in the specialty “State and local government.” From the very first day, students were taught by the best teachers and specialists of the Department of Public Service. 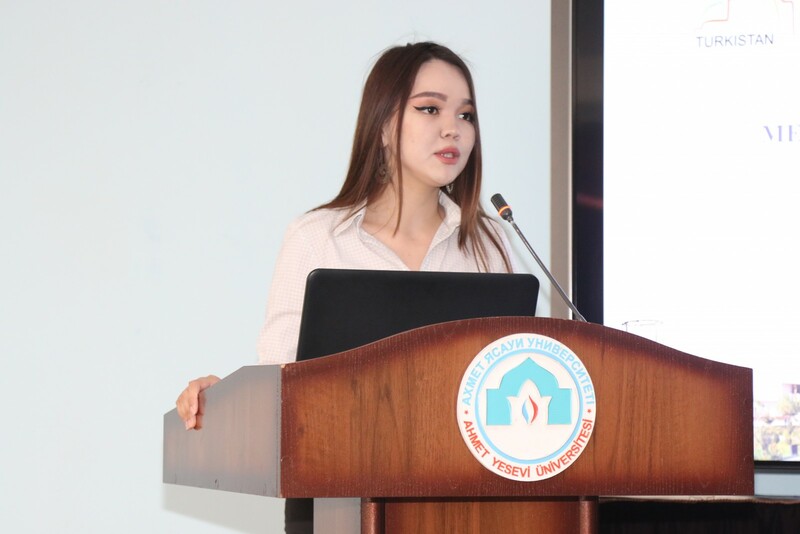 The most active students have passed practical training in the Office of the oblast akim and the Department from March 21 to March 31 of this year and are now highly qualified specialists. 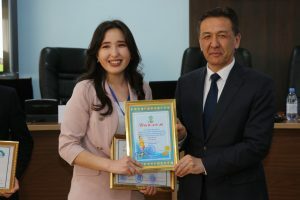 They also met with the Deputy Chairman of the Agency for Civil Service and Anti-Corruption Affairs, Aigul Shaiimova, and the Chairman of the Astana Hub Committee, Alikhan Baymenov. 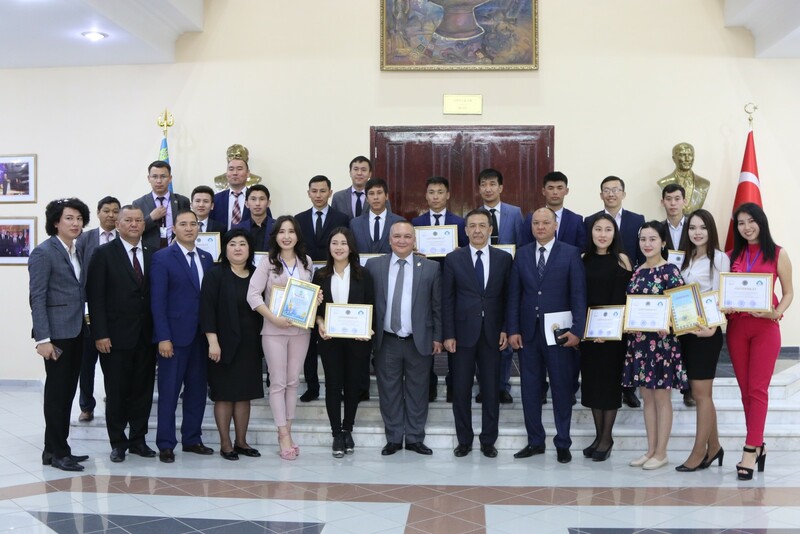 At the end of the meeting, the head of the department G.Tursynbayev and the president of the university B.Abdrasilov congratulated the graduates and presented them with certificates.